Mid State Pools and Spas provides swimming pool service and swimming pool maintenance plans for the upkeep and protection of your pool. Our maintenance plan includes weekly and bi-weekly pool maintenance, pool cleaning, pool chemical check and balance, preventative maintenance, and pool inspection for any damages. We also offer in-store servicing on pool parts and provide free computerized water analysis. Maintenance plans starting as low as $150 per month. 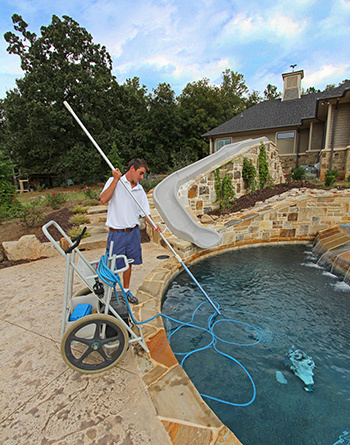 Mid State Pools and Spas also sells and services above ground pools, spas, and carries a full line of pool accessories.